If you’re like me, and you like the snow, but after awhile, you long for a change of scenery, you’ve got a few options. In between snow storms this past week, I stopped in at the greenhouse at Water Fresh Farm in Hopkington, Mass. I dined in front of a fire at Red Barn Coffee Roasters in Southborough, Mass. And I visited the Wayland Winter Farmers’ Market inside a greenhouse at Russell’s Garden Center in Wayland, Mass., where people ordered pizza from a mobile wood fired pizza truck, tasted wine and cheese, bought root vegetables, jams, fish, meat, and even mushrooms. Where will I go next week? The forecast is for more cold. Maybe this time, I’ll go for option number 3 and get on a plane! It was 15 degrees this morning in Boston, and it’s not even winter yet. I’m inside by the fire, drinking a cup of coffee, and remembering a warmer day in Rockport, Mass., just a few months ago. Today is Patriot’s Day, 239 years and a few days since the shot was fired and heard round the world. The lantern was hung, Paul Revere rode his horse, the Minutemen marched, and so began our fight for liberty. 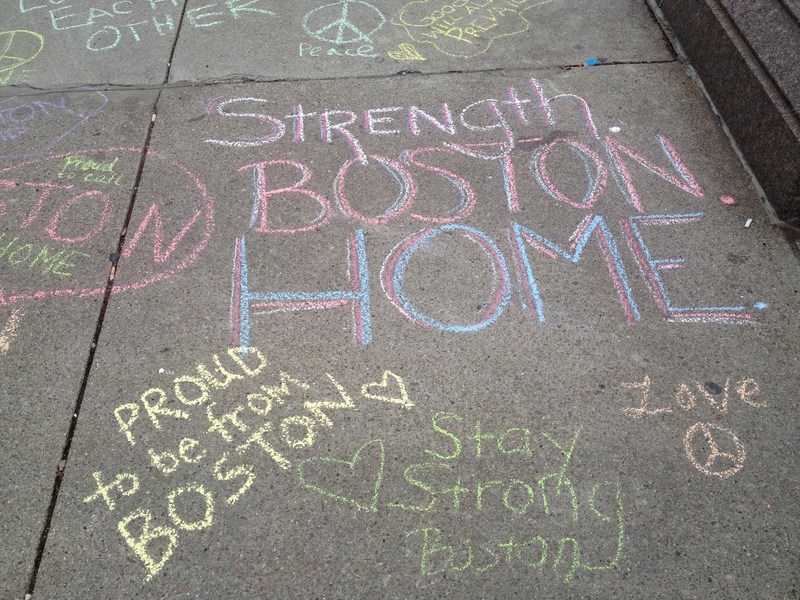 Today is the Boston Marathon, a year and a few days after the marathon bombing, when the world supported Boston and the community came together. We were Boston Strong in 1775. 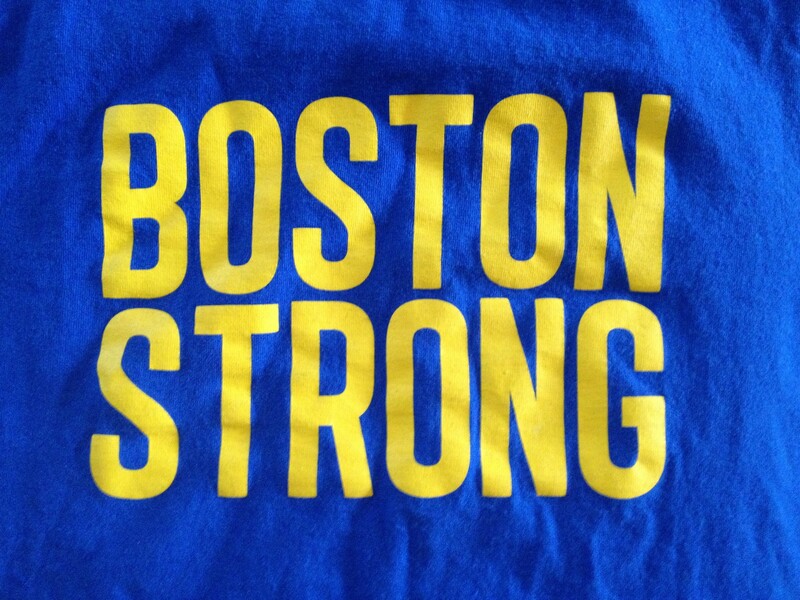 We are Boston Strong in 2014. We will always be Boston Strong. 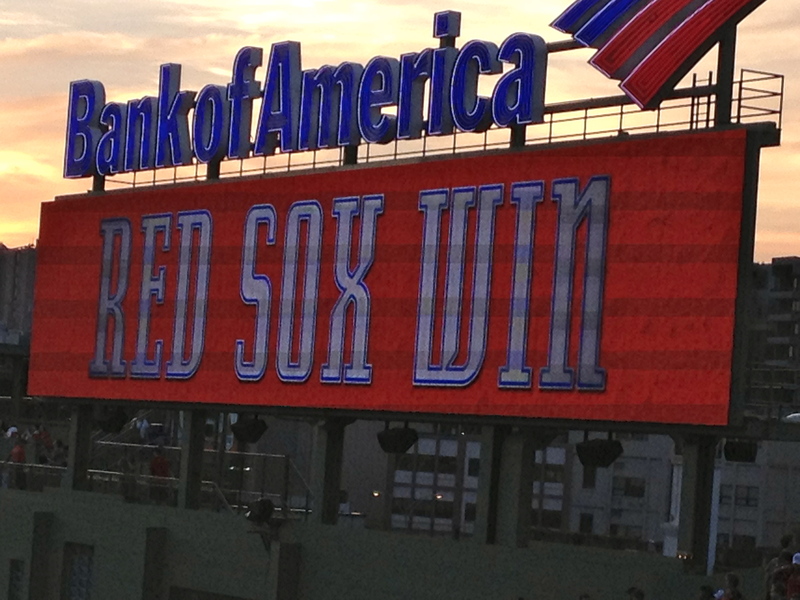 Do you love baseball and the Red Sox? Are you gluten free? 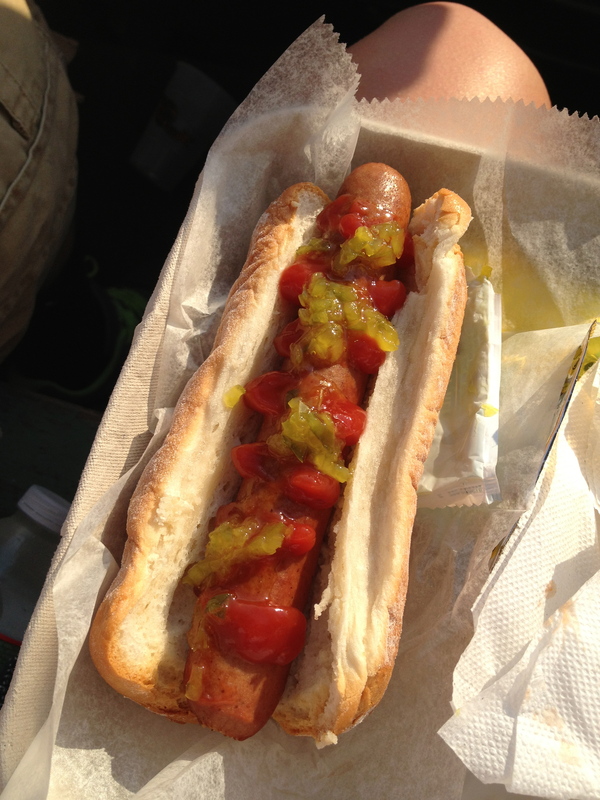 Did you know that now you can have your Fenway frank on a gluten-free bun at Fenway Park? 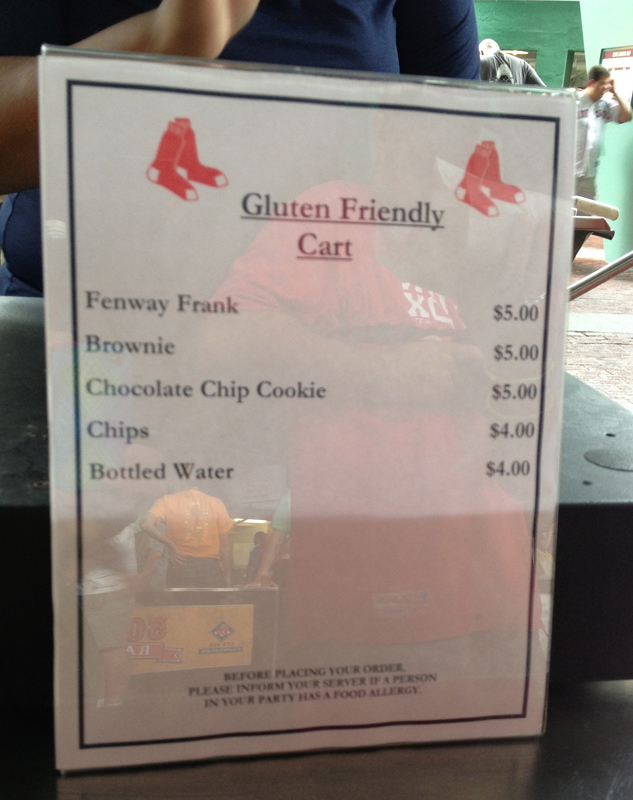 At Fenway Park, not only do they have gluten-free hot dogs, you can also buy gluten-free pizza, whoopee pies, brownies, and cookies. Oh, and their cotton candy, popcorn, soft serve ice cream, and Cracker Jacks are gluten free as well. Check out this list and this map. They even sell gluten-free beer!